People want to live longer and remain healthy. 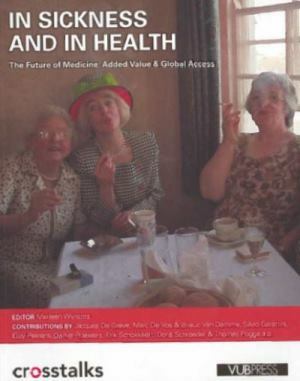 Through series of seminars, workshops and publications from 2005 to 2008, CROSSTALKS gave incentive to a more integrated and more efficient health care, starting from the challenges to accessible and safe medicine for everybody. Health is not a matter of politics only, health care is. Through a continuing process of exchange, CROSSTALKS wants to generate a growth model with added value for all the stakeholders in health care. A crucial factor in this project is the open collaboration and knowledge exchange between academics, the corporate world, doctors, pharmacists, patients, sickness funds, social partners and politicians.